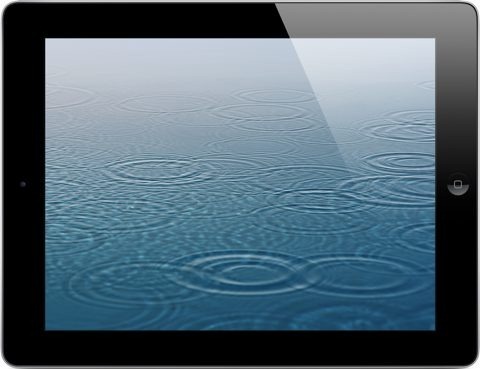 — I’d like to see the next iPad be a tad lighter if possible, or at least no heavier than the iPad 2. — A screen that is not quite as much of a fingerprint and smudge magnet as the first two generations. Apple has touted the oleophobic coating on the screens of iOS devices for years now as being ‘fingerprint resistant’ – but I’ve never seen that really work on any iDevice I’ve owned. It would be lovely if they could find an effective solution in this area. — Continued compatibility with the Apple Smart Cover. The smart cover has become my favorite iPad 2 accessory. It feels almost like part of the device. — Battery life should remain the same or improve. iPad battery life is excellent – so as long it’s not reduced due to any new features, I’m happy. — I hope the rumors about Apple continuing to produce the iPad 2 even after iPad 3 launches prove true. Selling the iPad 2 at a lower price (even with a more limited model range) will present a great option for potential iPad buyers and should help Apple’s sales and market share. — I feel lukewarm about the rumors that Apple may extend the iPad line in 2012 – with the general consensus being that they will do so by releasing an ‘iPad Mini’ at a smaller size like that of the Kindle Fire as well as the full-size iPad 3 during the year. I much prefer the current iPad size, but I know there are a good number of users who find Fire-sized tablets a better fit. I don’t hate the idea of Apple extending the iPad line in this way, but I won’t shed any tears if they don’t. So that’s my short iPad 3 wish list. What about all of you – what’s your wish list for the next-gen iPad? What do you think of my list? What have I missed? Let me know in the comments. It really needs to have the same camera as the 4s.ipad2 cam is terrible! Absolutelty. Why can’t I plug a USB drive to my iPad? A better display too would be good. And yeah it should get at least 50% lighter. I would like there to be a better camera on both sides. How about 4G or LTE? Agree with u about oleophobic coating though. I’d rather not see 4G this year or maybe even next – at least not while reviews of every device that has it say battery life is ridiculously low. I think the one thing I’m praying the iPad 3 has, that no one seems to mention, is Siri. I can’t afford the iPhone 4S and an iPad 3 and I’ve been dying to use Siri. And I’d prefer the iPad 3 over a new phone anyway. Need to do something about the photo/camera function. It is impossible to copy photos from a laptop to the iPad. So short as your imagination…or your intelligence, I assume. Yes, that must be it. My short list betrays my terribly low intelligence. And your ever so well-constructed comment clearly indicates Einstein-level intellect. Good answer, Patrick. I never understand why people come on these things just to insult others. Thanks, and I don’t either – and generally ignore drivel like that, but today has been a difficult day and I didn’t have it in me to just let it pass. Patrick, you’re awesome –as is your blog and as was your comeback. :) Please keep doing what you’re doing for all of us iPad newbies and veterans alike. I still do not understand why apple missed a huge market in the digitalization trend. Whereas I understand apple’s outright refusal to associate the whole iOS range with any form of stylus for device navigation, I still think that there is a huge market as one can tell by the innumerable iPad styluses out there in the market. When going paperless, there remains an innate need to replicate some of the more organic motions in handwriting and drawing. Take the galaxy note as an excellent example. A native stylus that compliments the already excellent capacitive touchscreen technology would take the market by storm and prove to be a necessary feature in what is viewed as a useful but unnecessary device. Can we please please have a USB port so that data from external devices like pen drives & HDDs can be transferred. A better camera with a xenon flash would also be nice. How about 2 speakers to make it stereo? I guess my wish is more of an iOS thing, but I would like a child-safe mode. Well… below is my wish list for the next iPad. What do you think? Possibility or wishful thinking? I am an iPad virgin and will continue to be until at least the first three on my wish list are met. I refuse to fall victim to Apple’s incremental upgrades when the technology is available and at their disposal. I understand it’s Business 101 (supply and demand) but for those of us who can’t afford to upgrade the device every year, it just irks me a little bit! 1. SIRI to come built-in. 2. Since the iPad is a tablet, it would be nice for it to come with a built in STYLUS! This would come in handy for those of us who take a lot of notes at work and school. 3. A better camera (at least 8-megapixel) with FLASH. The iPad is useless when taking pictures at night. 4. Better “home” screen showing the weather, date, and time (similar to Android).